Brick and mortar companies unable or willing to adapt are dying. The old adage "if you build it, they will come" is a work of fiction. Though I’ve heard it spoken of business as recently as this week. It holds no weight or relevance in the real world. I shutter to think of those who, often times well intended to start a business with everything in place. Save a good marketing plan or ability to budge from what "used to work". Archaic practices they have in their mind create success. As much as the world belongs to those that hustle, it also belongs to those ready. Willing and even eager to grab hold and change with the tide. While some of us have our eyes on colonizing Mars and building space stations. Others are unwilling to even accept that the earth is round. I wish I were only speaking metaphorically here. But I digress. I’m driving at here is, for brick and mortar business owners is to increase your sales. Exposure by stepping out of what may be a comfortable and safe place. To explore your e-commerce options. First supplementing your brick and mortar store with an e-commerce presence will gain exposure. Where once the only mention of you have been in online directories. Now you have a sort of "home base" where your customers can become accustomed to you. Showing what types of products or services you sell before heading in. The nice thing about having both a physical and online presence is that they tend to cross-promote each other. This is done naturally with very little effort required from you. As a business owner, you should know by now that exposure is paramount to business success. 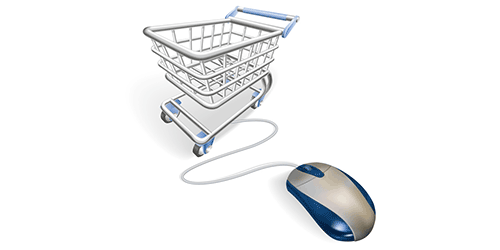 Secondly supplementing with an e-commerce store means multiple streams of income. Having an online store is having a central location where your customers can find you. They can browse, shop, and buy at any hour, from anywhere in the world. Even most large chain restaurants can’t offer that kind of widespread service. Where now you may staff a location for eight or ten hours in a day, 5-6 days a week. Your online shop, barring server down times and such, never has to close. You can be bringing in money while you relax at home, travel, and sleep. Finally, and this may seem a little unorthodox, but opening an online store is a GOOD thing. Because it exposes your business to increased competition? Competition is almost ALWAYS a good thing. Your customers benefit from it. As you strive to stand apart from the crowd. You benefit from constantly exercising your mind and resources to make your business better. You didn’t think it would be all good news, did you? There is a flip side to everything. The flip side to creating a web presence for your store is it is not always easy. Yeah, it can get to be a little expensive. If you think you can make up that expense in sales then an e-commerce store is a right choice for your company. Time consumption personal bandwidth is another huge expense you need to keep in mind. It will take a lot of your time to set up and maintain. Think filling orders, shipping, responding to emails, etc. If you have the time or resources to hire some one to maintain that end of things for you, it might be a good fit. Finally, though this short editorial is by no means all-encompassing, there is. As in life, no guarantee of success when it comes to your online business. Having the right knowledge and good people around you during the journey will certainly help.